Excess funds held by South Korean households plummeted in the third quarter of this year on increased purchases of new houses, official data showed Wednesday. 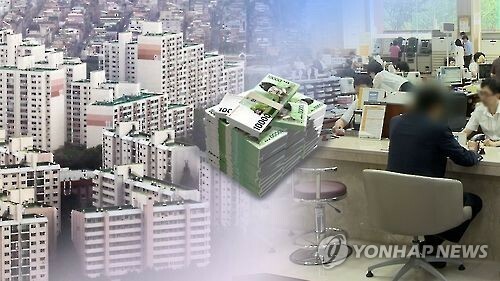 Surplus funds held by households here, including nonprofit organizations, totaled 1.9 trillion won ($1.5 billion) during the July-September period, a sharp fall from 14.1 trillion in the previous quarter, according to preliminary data from the Bank of Korea. It cited more spending on housing as the key reason. The sector raised a total of 38 trillion won during the three months. "Much of the funds came from long-term borrowings from financial institutions," the central bank said. Nonprofit organizations include institutions that serve households, such as consumer groups, charity and relief organizations, religious groups and labor unions. Excess funds refer to the amount of money that remains on the balance sheet for households after spending, deposits and stock investments. It is calculated by subtracting the amount of funds used for financial assets from the amount raised. Meanwhile, non-financial corporations had a surplus of 4.5 trillion won over the cited period partly on improved management by public firms, a shift from the shortage of 5.8 trillion won in the second quarter. Especially, public firms had 6.4 trillion won in excess funds, while civilian ones had a shortage of 1.9 trillion won, lower than 5.4 trillion won in the second quarter.